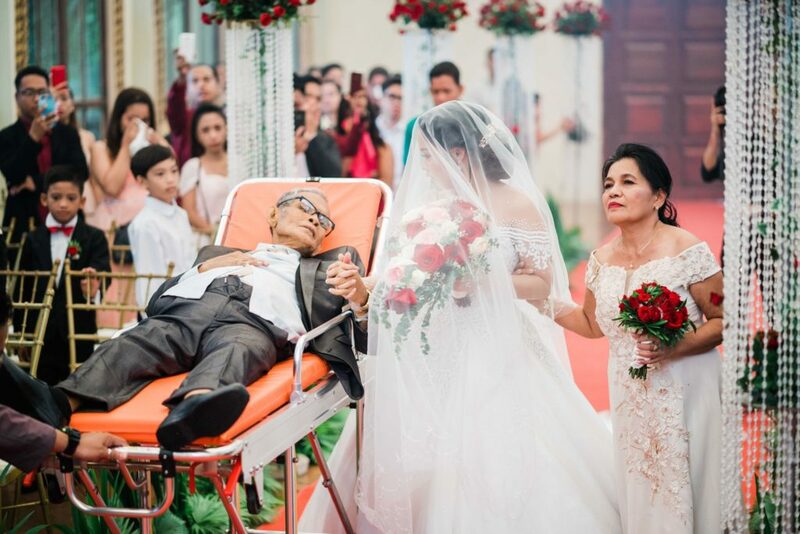 Bride Changes Wedding Date So Dad Can Fulfill Dying Wish To “Walk” Her Down Aisle. 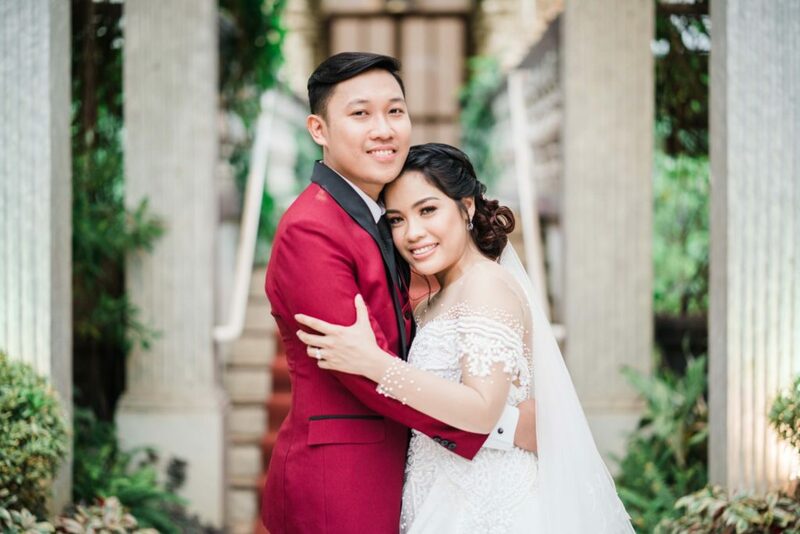 As Charlotte Villarin of Manila, Philippines, started planning her big wedding day, she was also emotionally struggling with the devastating news that her father, Pedro Villarin, was dying. Pedro had been fighting liver cancer for a year. 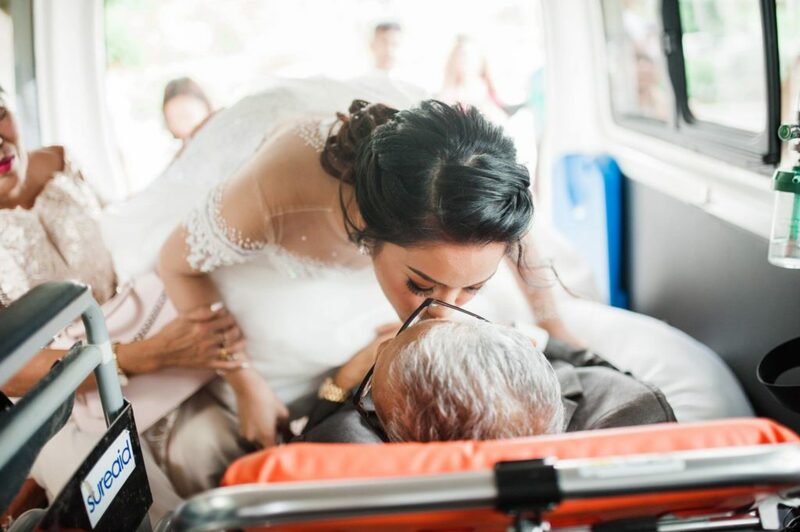 A few months before the wedding, it became clear that he wasn’t going to live to see his daughter get married. Like every young girl, Charlotte had always dreamed of having her father by her side as she walked down the aisle. Pedro had also dreamed of the day. 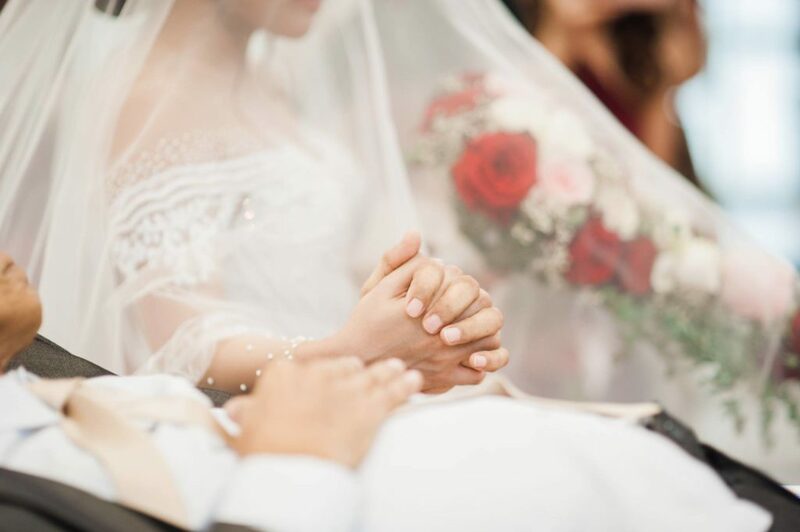 The bride and groom decided to change their wedding date and move it up by two months and on their wedding, August 9th, Charlotte and her fiance, Mark Cordova, got married with Pedro looking on. 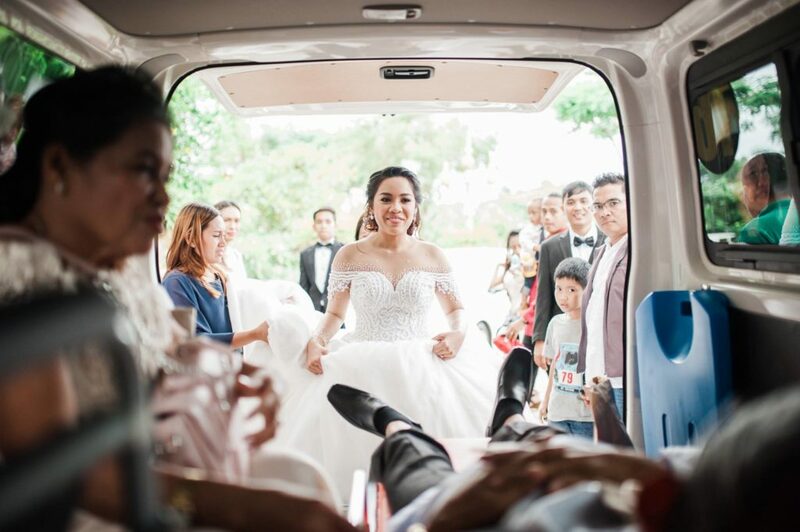 As the Villarin and Cordova families gathered in the church, Pedro was wheeled down the aisle on a stretcher, holding his daughter’s hand. What an emotional time, I am sure there wasn’t a dry eye in the house. Just three days after his daughters wedding, Pedro passed away. Sometimes the most painful moments turn into the most beautiful. Please pray for this new family.